The probate administration portion of the practice involves guiding executors of wills and administrators of intestate estates (where the decedent leaves no instructions regarding handling the estate) through the often complicated process of probate. Probate is the legal process of administering and transferring your separate property at death. As a solution to the distribution of estate, probate leaves much to be desired. Because probate is a court proceeding, the private matter of estate distribution unavoidably becomes a public record. In California, the average probate may last for a year or more. Probate is also very expensive, with the fees being established by statute based not on the net value, but on the gross value of the estate. There is a common misconception that a properly drawn and executed will avoids probate. That, unfortunately, is not true. A will neither avoids nor causes probate. The executor of your will has no power to sign on your behalf. 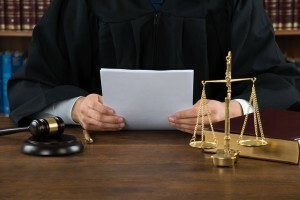 A probate judge must confer that power through the probate process. Another common misconception is that an estate may avoid probate if its value is less than the estate tax limit (currently $5,450,000). The estate tax limit has no bearing upon whether an estate will be subject to the probate process. An estate valued at less than $5,450,000 can still go through probate unless the individual takes action (while still living and capable), such as creating a Living Trust. We strive to provide our clients with alternative solutions to eliminate the need for probate. However, if probate is unavoidable under the given circumstances, we assist our clients in navigating the process as smoothly as possible by guiding them every step of the way including notice to beneficiaries, filing of pleadings, sale of property out of probate and estate accounting.